Ambajogai is a city and a municipal council, Tehsil and subdivision in Beed district in the state of Maharashtra, India. The town is named Ambajogai after goddess Ambabai - Yogeshwari whose heritage temple is located here and is visited by peoples from all over Maharashtra, largely from the Konkan region. 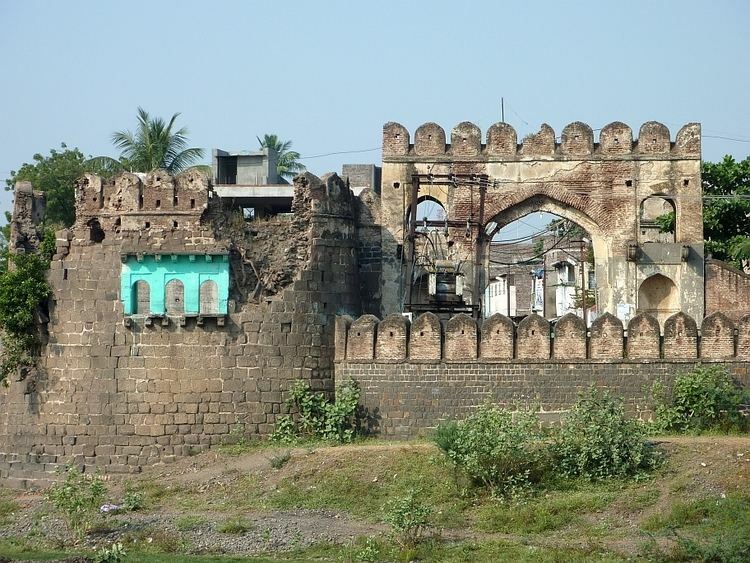 The town has a lot of heritage places and this township is known as the cultural capital of the Marathwada region. 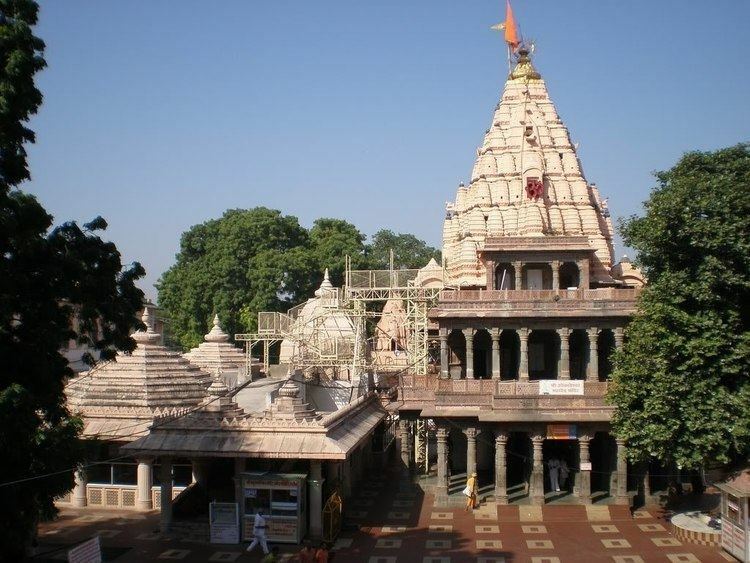 The town has other heritage temples like [Sakleshwar] 12 khambhi, Kholeshwar, Mukundraj cave and Dasopant Swami Samadhi, Kashivishwanath, Amruteshwar. There is an ancient underground cave called Shivleni Caves (Hattikhana) or Jogai Mandap declared as a heritage point (Archaeological sites in Maharashtra), where Lord Shankar, Nandi and Elephants are carved in stone. In the 13th century Swami Mukundraj wrote first Marathi poetry 'Viveksindhu' [Meaning: The Ocean Of Wisdom'] in Ambajogai. This work is widely acclaimed for its literary quality as well as the philosophical content. It remains not only the first but among the best literary works ever produced in Marathi. Ambajogai named by Amba – Goddess (Parvati / Durga) by his birthplace (jogai), who appeared at this place to finish Dantasura (a devil). It was also known as Jaywantinagar by name of King (Raja) Jaywant and river's name Jayawanti and a separate state. In Nijam regime (Nizamshahi) it was renamed as Mominabad, which was again renamed as Ambajogai in 1948. The town is connected to India's freedom fighters and current politicians, such as Swami Ramanand Teerth, Babasaheb Paranjape and Digambarrrao Deshpande (Harbaji Guruji) who fought against razakars (Hyderabad) to end the Nizam regime in Hyderabad state. In the 13th century, Swami Mukundraj wrote the first Marathi poetry 'Viveksindhu' [meaning 'Large floating Ocean of Wisdom'(Vivek: Wisdom, Sindhu:Ocean)]. This work is widely acclaimed for its literary quality as well as the philosophical content. It remains not only the first but among the best literary works ever produced in Marathi. The Ambajogai is also called as mini pandharpur. The Bharatiya Janata Party (BJP) leader Pramod Mahajan was from Ambajogai. Ambajogai, is a city located in Marathwada region of the western Indian state of Maharashtra. Ambajogai is widely considered the educational and cultural capital of Marathwada. Ambajogai is the sub-district place in Beed District. It is well-known for Yogeshwari Temple, which is considered as 1 of 3½ peeths in Maharashtra. It is located 25 kilometres from Parali Vaijnath. Prior Ambejogai was famous in the era for treatment of tuberculosis (TB), and thus the hospital was well known as TB Hospital. The hospital now is renovated and serving various patients including Cancer cure wing. Nowadays, Ambajogai has become a center of administration of Beed District. There is also a proposal given to Maharashtra government for bifurcation of Beed district to form a new Ambajogai District. As of 2011 India census, Ambajogai had a population of 74,844. Males constitute 52% of the population and females 48%. Ambajogai has an average literacy rate of 85.89%, higher than the national average of 74.04%; with 91.58% of the males and 79.88% of females literate. 12% of the population is under 6 years of age. Ambajogai has a Medical College "Swami Ramanand Teerth Rural Government Medical College"which is the first rural medical college in Asia. Ambajogai is also known as Educational Hub after Pune in Maharashtra. Ambajogai is also called as "Pune" of Marathwada because of Culture, Quality of education is quite similar to Pune. Ambajogai is one of the education centres in Marathwada. Ambajogai is suppose that the 'PANDHARI' of Education. Ambajogai has the oldest temple of the Goddess Yogeshwari has been famous since long. The structure of the temple is in 'Hemadpanti Style' a large rock cut placed above another. Delicate carvings on the pillars are attractive. Adjoining north gate is located the ‘Sarveshwar Teerth’. Adjoining the west gate are the temples of various deities. A festival at Yogeshwari is held here during 'Vijayadashami (Dashahara / Dasara)' and Margashirsh Poornima (full moon) approx in mid December. Margashirsh Poornima is the birth day of incarnation of Yogeshwari Devi. Around a kilometre from the Yogeshwari Temple and on the road after Shivleni Caves, on the hill of Balghat, lie the Samadhi of Saint Mukundraj, the first Marathi poet who wrote the famous verse – ‘Viveksindhu’ [Meaning: The Ocean Of Wisdom']. Saint poet Dasopant composed his verses (Pasodi) in Ambajogai. Ambajogai city is well connected by state highways. It is connected with State Highway 156. Nearest train station is Parali – Vaijanath, Maharashtra, India – 25 km away. The state highways 144 and 156 are more important for Ambajogai. For Public transport The Maharashtra State Transport Mahamandal's Buses (commonly known as ST buses)are available, which can take you to all major and minor cities as well as towns & villages nearby. There is huge ST Depot and ST schedule is update as well as reliable. The Ambajogai - Beed state road is one of busy roads. There many private buses and other vehicles connecting Ambejogai to places like Latur etc. Mukundraj Swami - First saint poet of Marathi language(Adyakavi). Sarvadnya Dasopant Swami - famous saint from Datta sect. Swami Ramanand Tirtha - great freedom fighter. Lt.Pramod Mahajan - one of the greatest leaders of BJP that time. Lt.Vimal Mundada - former health minister in Maharashtra government.